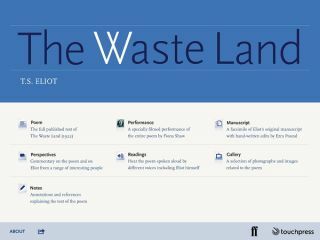 Rich Resource for Teaching "The Waste Land"
Pros: Phenomenal dramatic performance alone well worth the download. Cons: Not much to improve, though a more diverse group of commentators and opportunities to personalize the experience would be nice. Bottom Line: Makes studying The Waste Land engaging and accessible for students and easier for teachers.